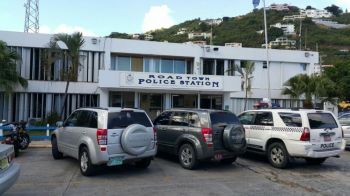 ROAD TOWN, Tortola, VI - During a press conference with media houses on Tuesday August 29, 2017, His Excellency Governor Augustus J. U. Jaspert was questioned about arming the Royal Virgin Islands Police Force (RVIPF) and the matter of tackling crime in the Virgin Islands. The Governor said, “Should the police have guns or not is a question that the Commissioner needs to answer to you and those that are operationally dealing with…It’s not for me to determine what those operational needs are and if an officer on the street there should carry a gun or not it’s not something I’m in a position to determine,” noting that he has not discussed that matter with the Commissioner. His Excellency, who was sworn-in on Tuesday August 22, 2017, informed journalists that he visited the Police Headquarters and Road Town Police Station to familiarise himself with the members of Royal Virgin Islands Police Force (RVIPF). He also mentioned that he was briefed on various high profile cases. “I got briefed up on various high profile cases, that you would imagine being particularly murders that have happened in these islands sadly over a recent period, and the efforts that the police are doing to take those forward. It’s not appropriate to talk about any of those cases in detail,” explained Governor Jaspert. The new governor stated that he was briefed during a meeting on Tuesday August 29, 2017 about the issues that the RVIPF are currently facing as well as plans for implementing new initiatives. 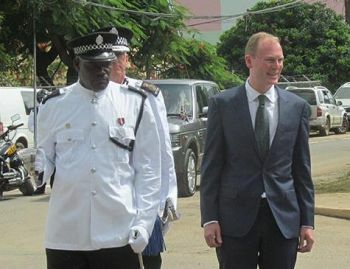 He continued, “I was getting briefed up in London on the crimes that have been happening recently,” adding that he also spoke about the efforts that the RVIPF are taking in order to ensure that the territory is safe and not affected by violent crimes. “I got well briefed up on that,” he said. How do you know that? What are his boundaries? give those island man guns to kill off the locals?? Arm some immigration and customs. The law allows for it.